The Norwegian Tecnology Centre (NTS) hereby has the pleasure to invite ISO/IEC JTC1/SC22/WG20 - Internationalization to hold its next meeting in Tromsø, Norway, 2002-06-10/12. It is the corner room to the right of the 8-digit on this map. 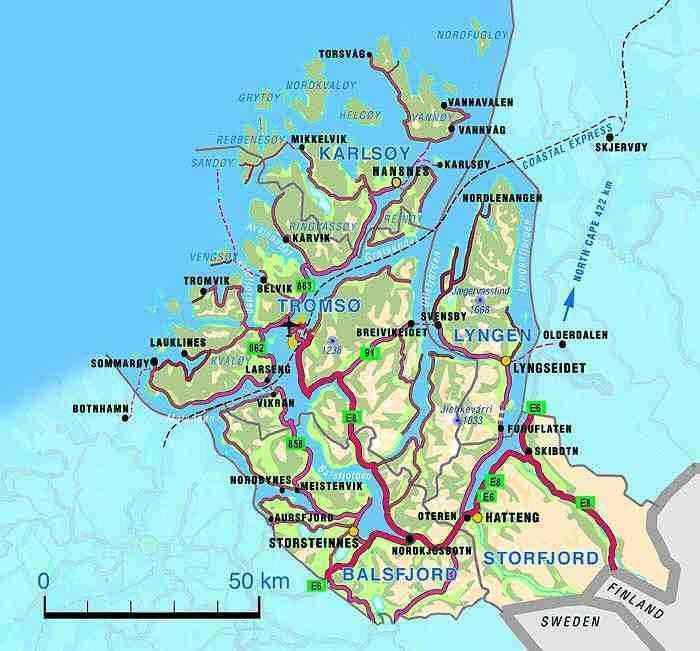 is a list over the hotels in Tromsø. Then there is "Apartementshus", the more rough variant, no food, more of the student flat type, 260,- / night if you stay for three nights or more. If you want to limit the number of hotels to not too many, Rica, Amalie and Hotell Nord are recommended. There you have 3 hotels, in the high-mid-low price category, all of them in the middle of the centre and close to each other. It is STRONGLY recommended to make your reservations as soon as possible. Tromsø houses Midnight Maraton, starting June 15th, and from 15th and onwards all the hotel rooms are already fullbooked. There are still free rooms left for the period of the WG meeting, but the sooner you book, the more choices you have. People actually come here to see the midnight sun, so you should book in time. The airport, at the western shore of the island, is marked "Flyplassen", on the bus map, downtown Tromsø, with the hotels, is marked "Sentrum", and the university area, on the north-eastern shore of the island, is marked "RiTø". The distance from the city centre to the university is appr. 6 km, there are 4-6 buses each hour. A map of the whole area is availble.